January's been a bit of a whirlwind and I keep finding myself shocked that it's almost over. 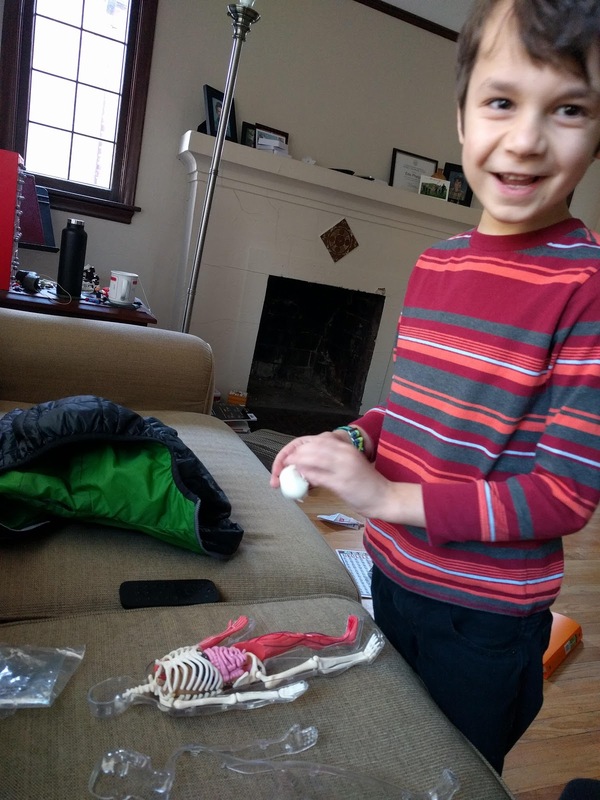 M used his Christmas money from Grandma and Grandpa to buy a human body kit, and was super excited when it arrived. The next several days were spent taking it apart and putting it back together over and over and over again. 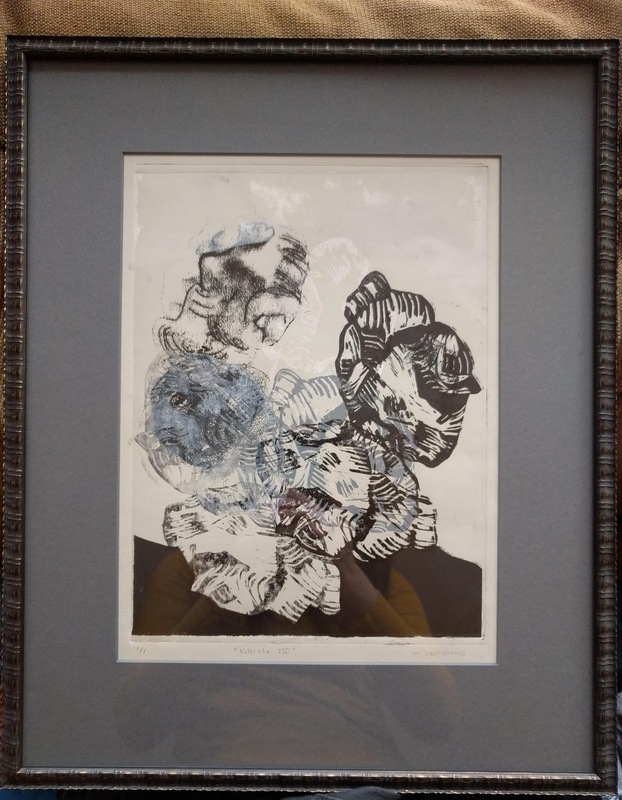 A couple weekends ago I got a piece back from the framer, one I purchased at a community college art fair several years ago. My purchasing it seemed to make the artist's day - she said it was the first piece she'd ever sold. 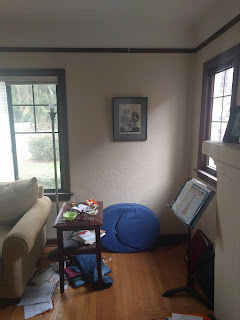 I was so happy when the framer and I found the mat to go with it (apparently they don't make mat in as many colors as they use to, so some pieces of art are getting difficult to find a good mat for, depending on what color paper the artist used). And, finally, I started a job last week! I'd interviewed for a per diem relief position just before Christmas and found out near the end of break that I got the job. Per diem means I'm not guaranteed a certain number of hours and relief means I'm filling in for RDs who are on vacation, sick, or otherwise out of the office; while I won't have guaranteed hours each week, from what I've observed many per diems are able to work several days a week and other RDs who've worked per diem previously have already told me to set boundaries, so I'm guessing getting sufficient hours won't be a problem. Relief can be a little scary because you have to know the basics of a lot of different services (i.e. cardiology, surgery, GI, NICU, etc.) and you aren't always on the service long enough to get to know your patients that well. But, as a new practitioner, I think it will have huge benefits in that over time I'll get to know and experience a variety of services that I didn't get to during my internship. It will help me build on what I learned in internship and create a nice, broad foundation before I narrow in on a specific service. We are all still adjusting to our new schedule. Last Friday we had to ask a friend to pick up M from after-school care because I'd ended up needing to stay late and Ryan had to as well and Ryan's bus wasn't coming on time, so neither of us were going to make it home before the care center closed. I'm extremely grateful for the friends who help get G to and from school, since I'm definitely not around to help with that. About day 2 of me working we remembered that we had promised ourselves we'd be more consistent about kitchen cleanup each evening - when I came home to make dinner and realized dishes hadn't been cleaned up the night before and because of that I was definitely going to be late to orchestra rehearsal. We've been very consistent about it since. And the weekend had a mix of getting things like laundry and general house clean up done while also finding time to relax. Finding our new routine is going to be an adventure - frustrating at times, I'm sure, but worth it in the end.